Personality: The Irish Sport Horse receives the sense and honesty of the Irish Draught and the athleticism, speed, and endurance of the Thoroughbred. It has an excellent temperament, being calm, yet lively when needed, and is very tough. Connemara blood is also found in some Irish mares. Due to its sense and strength, it is popular with police forces in Britain and Ireland. Conformation: The horse has an attractive head with a sometimes convex profile (a "Roman nose"). It has a slightly-arched and muscular neck, long, sloping shoulders, a deep but not overly broad chest, a short, compact back, and a muscular croup with powerful hindquarters. The croup is often sloping and long, a trait coming from the Irish Draught, which improves its jumping ability. The high withers of the Thoroughbred are also evident in many cases. A template is available for download here. The template is a light build intended to resemble an ISH with heavy Thoroughbred influence. While light to mid weight ISHs are preferred for eventing, heavier types (closer to the Irish Draught) are also accepted. Heights vary widely between Irish Sport Horses. Those with Connemara heritage may get as small as 13 hands (some may be called "Irish Sport Ponies" if under 14.2/14.3 hands, however they are still considered registered Irish Sport Horses) and those with more Irish Draught blood may get as tall as 17 hands. The average height is around 16 hands, which is slightly smaller than EA's default. Usage: The Irish Sport Horse is traditionally used for all purposes, from transportation, to riding, and working the land. However, it is becoming increasingly popular as a competition riding horse. Its natural athletic ability and fantastic jumping talents means that it excels in the show jumping arena, as well as competing at the highest levels of eventing. The horse is globally renowned for being one of the best fox hunting mounts in the world, and the Irish Sport Horse studbook regularly tops the rankings for eventing. Colors: The most common colors for Irish Sport Horses are grey, chestnut, bay, and black. All colors are accepted, including tobiano and overo patterns. REGISTERED - Irish Sport Horses that are accepted into the registry as having sufficient parentage and conformation to be representative of the breed. APPROVED - Horses permitted to produce registered offspring. Registration is NOT a requirement for breeding approval--registered Irish Draughts (ID), Thoroughbreds (TB), Connemara Ponies (CP), and Warmbloods (WB) are eligible for inspection. Approved horses that are not registered ISH will not get a certificate of registration or a registration number. The number they receive from their breed registry will be listed on certificates of ISH registered foals. All horses require only conformation shots for registration. Irish Sport Horses of foundation and unapproved parentage will be assessed for approval during their registration inspection. **Horses may not be inspected prior to three years of age. If your stallion is registered as a colt, you need only submit his registration number and the required images for inspection (see below). Submitting your stallion's papers is preferred and helps speed up the process, but is not required. For inspections not accompanied by a registry application, please title your email "ISH Stallion Inspection". Accepted ISH crosses may include any amount of Thoroughbred and/or Connemara heritage, however they must have at least one ISH or Irish Draught within two generations. Parentage MUST be documented for cross-bred horses. Registration of parents with their respected registry is REQUIRED at time of application, assuming the registry is open. Allowances will be made for closed registries. Registered Irish Draught and Thoroughbred mares are considered approved ISH breeding stock for all intents and purposes, however they MUST be bred to approved stallions (ISH or a compatible breed) in order for their offspring to be considered of approved parentage. For the sake of simplicity, all inspections will be conducted in the same manner. 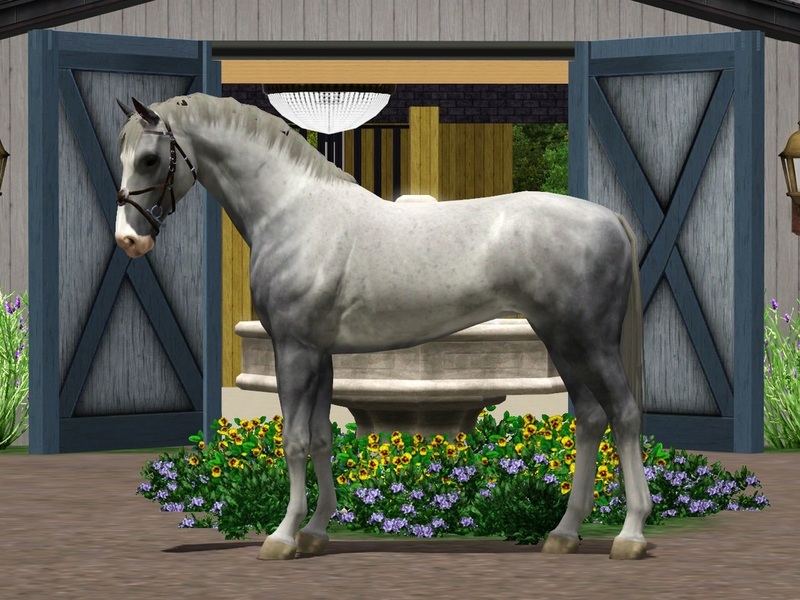 In real life, stallions receive scores out of 100 with 70 in conformation, 65 in movement, and 75 in athleticism being required to pass. For now, we will only use an approved/not approved system, however a scoring system will be implemented if there is sufficient interest in the breed. If a new system is implemented in the future, active stallions will be scored on their previous inspection. If your horse requires a full inspection to be registered and/or approved with the ISHR (Irish Sport Horse Registry, not to be confused with the International Spotted Horse Registry), please submit unedited photos for each of the following. Conformation (4 photos): front, back, left, and right. Horse must be standing still and looking ahead. Halter or bridle optional, all other tack prohibited. CAP pictures acceptable. Movement (3 photos): walk, trot, and canter presented at liberty (no handler) in a ring or round pen. Bridle (without reins) or halter required, boots and all other tack prohibited. Custom poses accepted. Athleticism (1 photo): A free (riderless) jump performed over any intermediate to advanced fence with poles (no cavaletti, formidable wall, fire, etc). Bridle (without reins) or halter required, boots and all other tack prohibited. Custom poses accepted. Rein-less bridles available at MSE. Upon registration, each ISH will be issued a registration certificate and a stamp for their profile. Upon approval, the certificate will be stamped "Approved For Breeding". Only horses that are both registered AND approved are eligible to receive an in-game certificate UPON REQUEST. Please include requests with application or send the request to paragonfarm@hotmail.com. The text is small but legible. I used a fairly large painting for my clone as you can see from the picture, however I can use a smaller one if you'd prefer.